The site has a long history as an employment allocation. 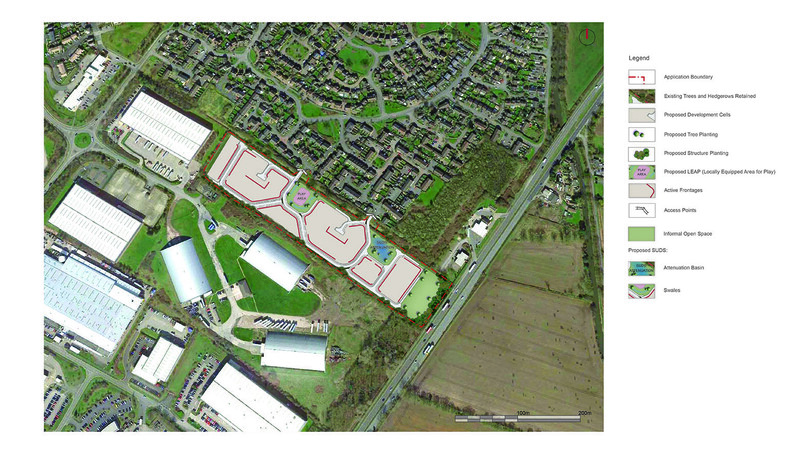 The site forms part (albeit a small part) of a wider ‘existing employment area’ (known as Fradley Park), a hangover from the saved policy (EMP2) from the 1998 Lichfield District Local Plan, and subsequent adopted policy in the Lichfield District Local Plan Strategy 2015 (CP1 and CP7). 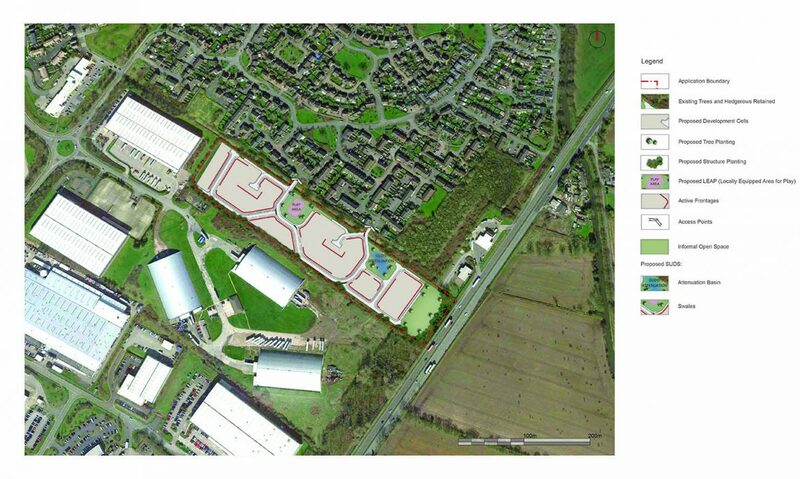 However, the site cannot be reasonably released for employment through access from the adjoining employment areas to the north and west. This would not be possible due to land ownership and how the adjacent employment land has been developed – as a result, this parcel of land has, in effect, been left behind, with the adjacent employment land turning its back on the site. Access from the A38 which runs along the site’s south-eastern boundary would be technically challenging, meaning, that the only way into the site is via the existing housing areas to the north (via extensions off Horner Avenue and Ward Close). 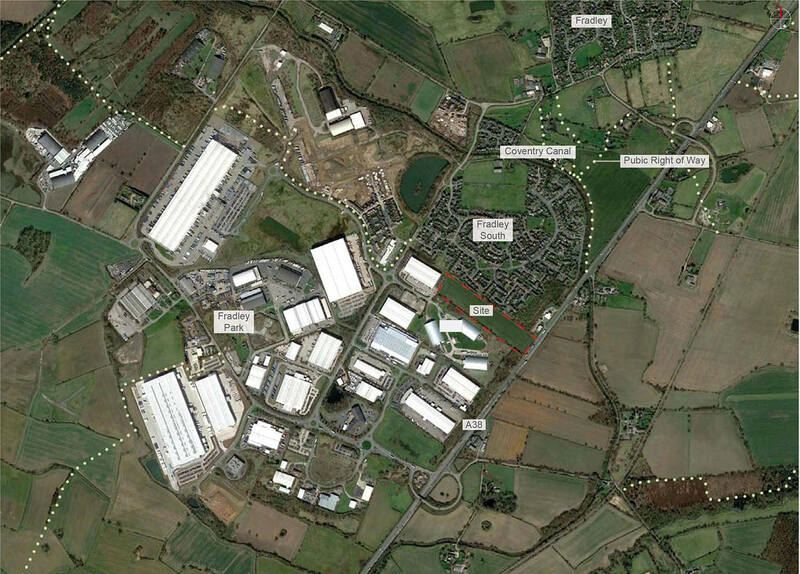 The potential traffic issues regarding the site are exacerbated by the fact that employment development at Fradley Park has been focused predominantly on the storage and distribution market; it is a logistic based employment site. The storage and distribution market relies upon HGV traffic generation; movements to and from the site by HGVs would be wholly inappropriate via the adjoining housing areas. 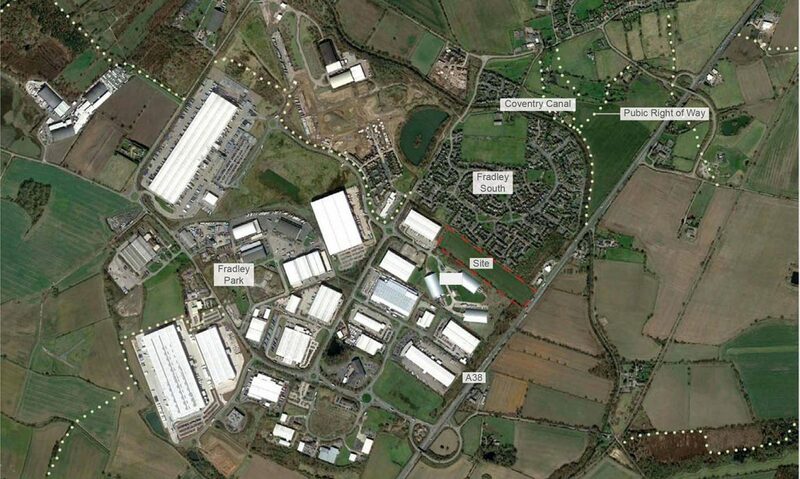 As part of the current Lichfield District Local Plan Allocations examination, Greenlight Developments and Lichfield District Council agreed to an employment policy (Policy EMP1) to help avoid the long-term protection of sites allocated for employment use, which allows for sites to be brought forward for alternative uses, such as housing.